I don’t know about you, but I personally feel that even better than the Thanksgiving meal itself are the leftovers. Who’s with me? I even go to the point of roasting an extra-large turkey and including more sides than my family of five needs just so that we can have those yummy leftovers. Aside from just heating them up the next day, I try to make creative meals with them. 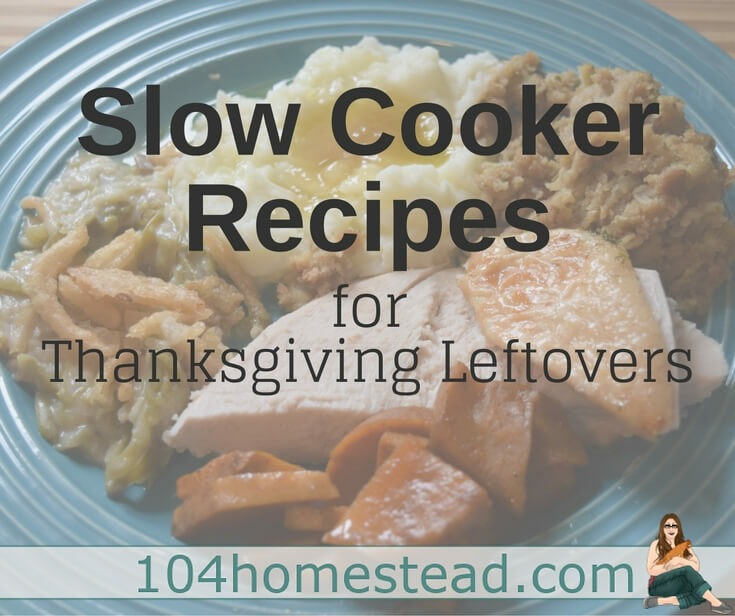 Today I’m sharing a couple of slow cooker options for those leftovers. Even better, they’re made simple. A little backstory… My family has been on a mission towards a more natural lifestyle since my first pregnancy a few years back. I started realize how terribly we were eating and how unnaturally we were living; I wanted to strive for something better for my future children. I’m a firm believer that natural living and homesteading go hand in hand. 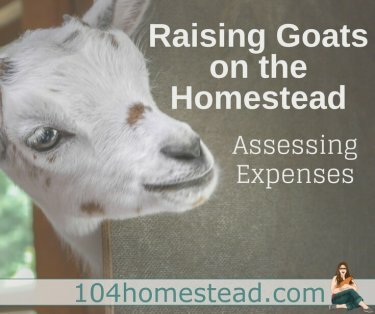 Homesteading and living off of the land as best as we can has helped improve our lifestyle and work towards natural living. We definitely aren’t perfect by any means, but we are working towards improving our health a little over time. One of the first things to go in our home was the beloved microwave, which I replaced with our slow cooker. I know, I know. Microwaves are supposed to be a method to cook and heat up your food quickly. A slow cooker is… well… slow. Life is busy and sometimes we just don’t have time for that. For us, the trade-off is that our food tastes better and isn’t zapped of its nutrition. If you would like to read more about our transition to a healthy life, you can read about how we went about ditching plastic here. Look, I’m all for time savers. I’m a busy mom. I have 3 children – 3 and under. Mama can use all the help she can get some days. Ha. I really believe the slow cooker helps me in the long run. I seriously use mine all the time. As much as I like to pretend I’m a pioneer lady, mama just ain’t got time for that! One of the great things about a slow cooker is that you can set it up and forget about it. Well, sort of. After spending most of the day in the kitchen the day before, we can use a break! Am I right? These options don’t take long to make and the exact measurements aren’t necessary. Because… leftovers. Double bonus. Mix the leftover turkey and gravy together and set aside. Add the leftover green bean casserole to the slow cooker. Approximately 1- 1 ½ cups. Exact amounts aren’t super important. Add the leftover stuffing. Layer the turkey and gravy mixture. The last layer is the leftover mashed potatoes. If you’d like to add some shredded cheese to the top, my husband requests this sometimes. So I’ll add this on occasion. Heat on low in the slow cooker for approximately 40 minutes or until warmed and heated through. The time will vary depending on how much leftovers you have. 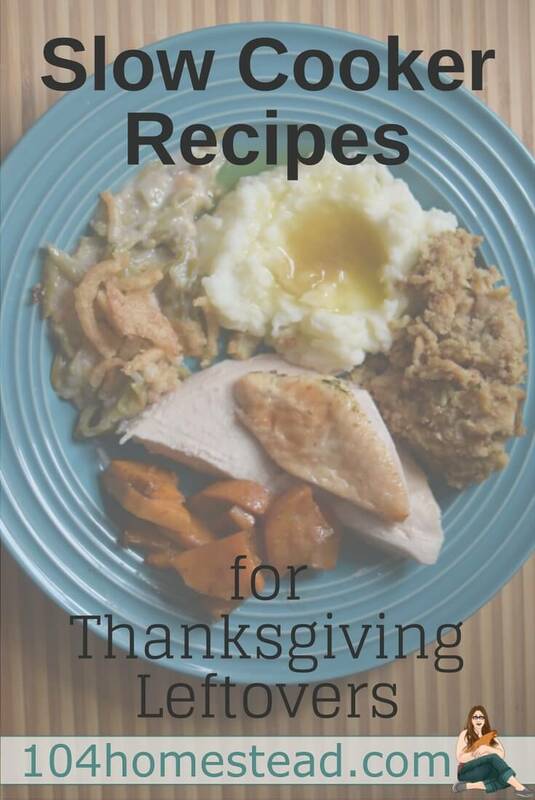 Mix turkey, gravy, leftover green bean casserole and peas in slow cooker dish, set aside. Slice carrots and add to the turkey mixture. Layer leftover stuffing. Heat on low-medium for approximately 40 minutes or until carrots are soft, but not overdone. 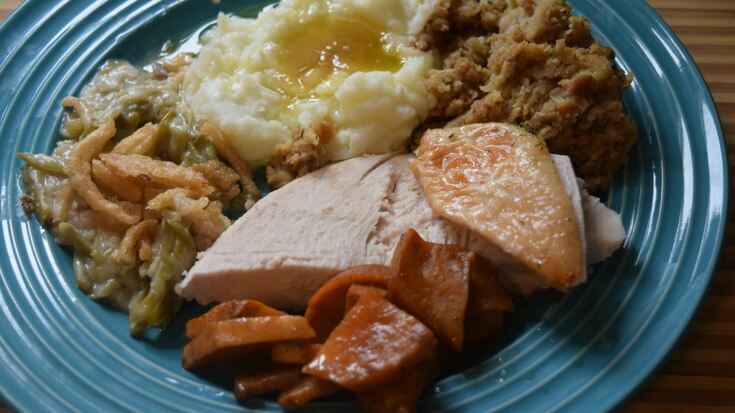 Time will vary depending on how many leftovers you use. Layer biscuits on top of pot pie mixture and heat up until soft (if using instead of stuffing). Salt and pepper to taste. Enjoy. Now, what do you do with those turkey bones after you’ve pulled the meat off of it? Around here, we try to be as frugal as possible. So, we use the bones to make a delicious bone broth – just like grandma used to make and we store it for later use. Check out some of the benefits of bone broth and step by step instructions on how to make a delicious broth. Guess what, it’s a slow cooker friendly recipe, too! Mary is a lover of nature, healthy living and an aspiring retro housewife. A city girl now living the rural life. She was a driven and career focused professional…until she met Lee, a real life cowboy. So she traded in her high heels and pencil skirts for Muck boots and dirty jeans! You can follow Mary at Boots & Hooves Homestead.